Welcome to FrankWealth.com: EXPOSED: The Secret Behind Canada Skilled Migrant Program Canadian Government Won't Tell Skilled Migrants! EXPOSED: The Secret Behind Canada Skilled Migrant Program Canadian Government Won't Tell Skilled Migrants! Whoever that first thought about this skilled migrant program deserves an award for a well thought plan. This is in fact, the fastest way to develop any nation financially, economically and what have you. 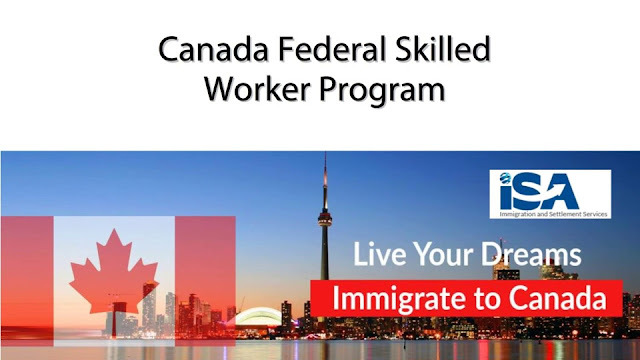 In this expository article, you will discover some shocking realities about the much publicized and talked about Canada Federal Skilled Migrant Program that has attracted thousands of finest brains from various countries of the world, especially from developing nations like Nigeria, Ghana, India, Philippines, etc. So before you make the final decision to join the over growing population of professionals queuing in for this program, you definitely need to read this article, and please do not endeavor to share it with your friends and relatives. Now, before we forge ahead, let me ask you: are you aware that not all the skilled migrants who make it to Canada through this infamous Canadian skilled migrant program end up securing a job on their arrival in Canada? Just in case you aren't aware, that's the sad reality on ground, but you will never get to know this until you leave your home country and arrive successfully in Canada. This sad situation got me wondering why Canadian government invite immigrants if they don't have enough opportunities for them? Do you know the answer? You will be shocked to discover why. The simple but shocking answer to the above question is because this is business! Canadian government have an official commitment to invite 300,000 skilled immigrants every year. Every immigrant will bring at least $24,000 for 12 months, families will bring more. Every year the economy will earn at least $7.2 billion on immigration alone, no spending, just earn. Now tell me, what passive income is better than this, huh? Believe me, the western world and their government are super smart, and I think African and Asian governments need to sit up because they are dulling, and this is why Africa, Middle East and Asia seem to be lagging behind in global economy, that's aside some few Asian and Middle East countries like China, Japan, Singapore, Qatar, UAE, Saudi Arabia, Kuwait, Taiwan, South Korea, Hong Kong, etc. Now, the next question you should be asking by now is why does the Canadian government do this? The answer is, Canada as a country needs to increase her population.. why? To make money through tax collection; more population means more tax, and it means more money for Canada to develop their nation to their dream land.. How? The most obvious plan and this is a great / immediate support to Canadian businesses (rental, insurance, education, groceries, etc.) - is to invite immigrants and protect the market against massive foreign expansion. How? by increasing a barrier to get a job (assimilation criteria, language requirements, local education or work experience). Did you mention that Canadian companies hire only extremely skilled professionals, trades or low-skilled staff. Don’t forget that every immigrant will also pay fees prior immigration to government agencies, IELTS, ECA (Education credential assessment), medical and other organizations; all these earn Canada millions and billions of $$$, oh you think Canadian government love you so much and just want to help you become rich? Then think again. Remember, if immigrants fortunately find jobs they will contribute even more to the government (by paying taxes). Canadian companies don’t hire immigrants without Canadian education / work experience - there are at least 70–80% newcomers in this category. Those who fail to find a job, will either spend their savings trying to find one or leave the country after 6–12 months to give a chance to another group of immigrants. Anyway the economy and Canadian business will benefit; whether the immigrant finds a job a decides to stay back or unable to find a job and decides to fly back to his or her country, of course poorer after spending their savings in Canada pursuing Canadian dream. This is not a conspirology, this is a business model without negative effects on Canada. If you are among the group of immigrants screaming that they can’t find a job, c’mon no one cares. Remember, you can’t participate in elections or ask more rights than locals until you establish yourself in Canada. Reputation of Canada will not change even if this business model is explained to everyone. Because this opportunity is anyway better than a situation in many countries from which majority of these immigrants arrived from. Before you make the final move to emigrate to Canada, plan well, think it through, evaluate the risk, taking into considerations the things I have highlighted here, and if you are better of in your home country, please stay back, don't expose your life and that of your loved ones to unnecessary risk chasing a dream that can hardly be achieved. Be prepared for the weather. For example, get a car as early as possible to be able to freely move around. Waiting for the bus when the temperatures fall below -15C can be highly demotivating at times. Wish you all the best in your pursuit for a better life across your home borders! Still your friend and mentor, Frank of Frankwealth Team.